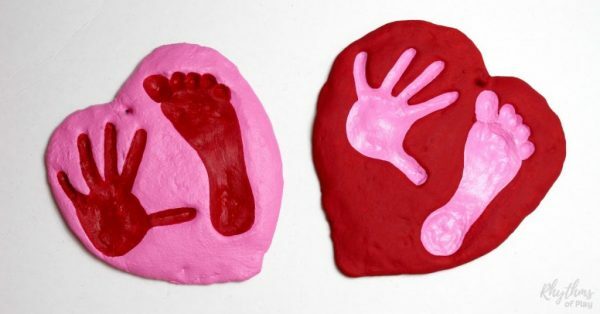 Salt dough handprint crafts make a wonderful homemade gift idea for parents and grandparents. This salt dough craft also has a footprint in it, and is made in the shape of a heart! This salt dough heart craft makes a great keepsake craft and gift idea for Valentine’s day, Mother’s Day, Father’s Day, and Grandparents Day! We were inspired to make this adorable handprint and footprint heart keepsake craft by the super cute pumpkin craft by Parker’s Mommy that you can see HERE! When I saw how cute the pumpkins looked with both and handprint and footprint inside, I knew I had to try this salt dough craft in the shape of a heart! The recipe below was enough to make the two large hearts like the ones pictured above with a little left over to make another small cookie cutter heart. Mix salt and flour in a mixing bowl. Mix flour and water together and knead until it is the consistency of play dough. Use the salt dough recipe and the directions above to make salt dough. Lay an old towel down on the floor and place the cookie sheet with hearts on it. Have your child sit on the towel on the floor facing the cookie sheet so you can help make the footprint in the salt dough heart. Dip your child’s foot and hand into the flour first in order to make sure that it doesn’t stick when you press it into the salt dough. Use the opposite hand to make a handprint next to each salt dough footprint. Use a straw or chopstick to create a single hole in the middle of the top of the heart in order to hang it. Step 6 – Allow Salt Dough Footprint and Handprint Heart to Air Dry Overnight. The thickness of this salt dough craft makes it take all day to cook unless you allow the salt dough heart to dry overnight before placing this handprint craft in the oven. Step 8 – Place heart keepsake on a cooling rack and allow to cool overnight. Take the salt dough handprint and footprint craft out of the oven and allow it to sit overnight before painting it. 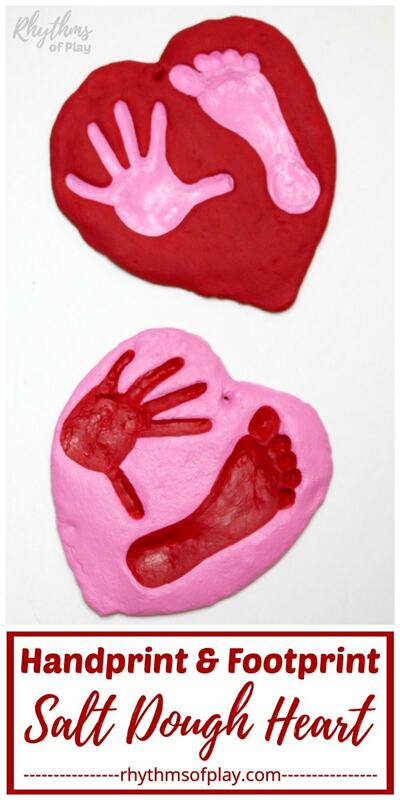 Make sure the salt dough hearts are completely dry before painting this footprint and handprint craft. Paint the handprint and footprint keepsake any color you like. Kids love to help with this! Don’t forget to write your child name and date on the front or back along with any personal message or poem that you would like to include. Handmade gifts are always a hit with friends and family. 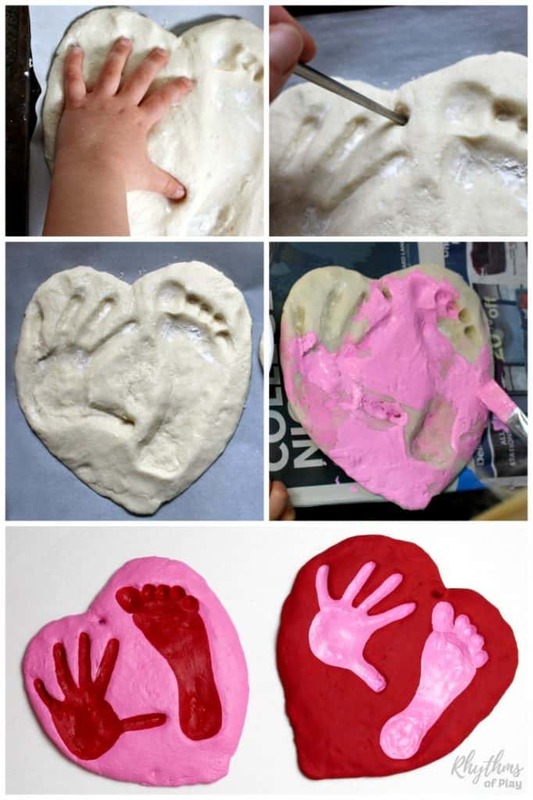 A handprint and footprint heart craft made out of salt dough makes a great gift idea for Valentine’s Day, Mother’s Day, Father’s Day, and Grandparents day! 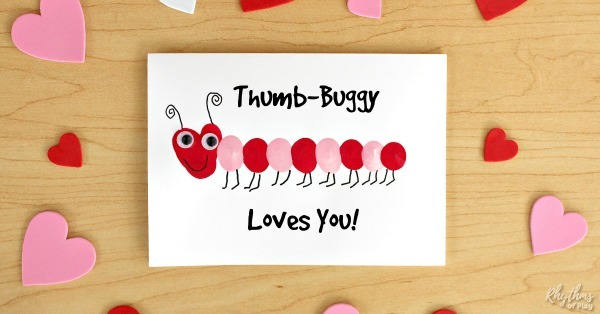 Make a Fingerprint love bug card to go with your salt dough handprint and footprint heart gift. We have lots of card message ideas you can use to personalize your gift for almost any occation including Valentine’s day and Mother’s day. 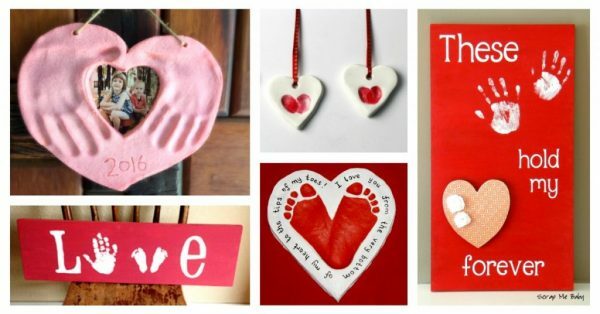 You may also like this amazing collection of Valentine crafts and gift ideas kids can make… Just click on the link to see them all! We hope you enjoy creating this salt dough heart craft for someone you love. 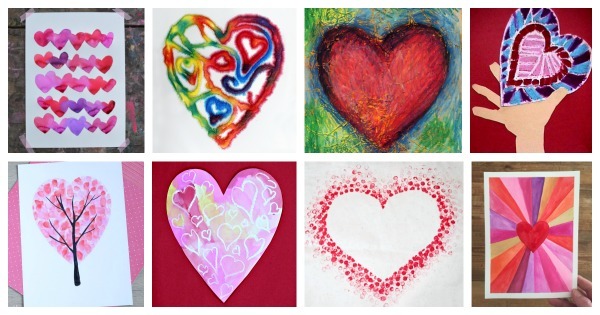 For even more ideas have a look at this collection of Heart Art Project Ideas. what is the mod podge for? Good question Elizabeth. Mod Podge is a glue based sealer. Using it to seal and protect the salt dough heart with handprint or footprint is optional.